I was excited to spend August 6-8 helping out behind the scenes at a climate justice gathering put on by Indigenous Climate Action and the Indigenous Environmental Network for grassroots leaders from tar-sands impacted nations. “Grassroots Grow Deep” was held on the beautiful Cold Lake First Nations' treaty grounds and had 45 participants from Treaty 6, 7, and 8 territories, plus facilitators and guests from the Standing Rock/Oceti Sakowin Camp, the Trans Mountain fight on unceded Coast Salish territories, and other interconnected keep it in the ground struggles across the continent. 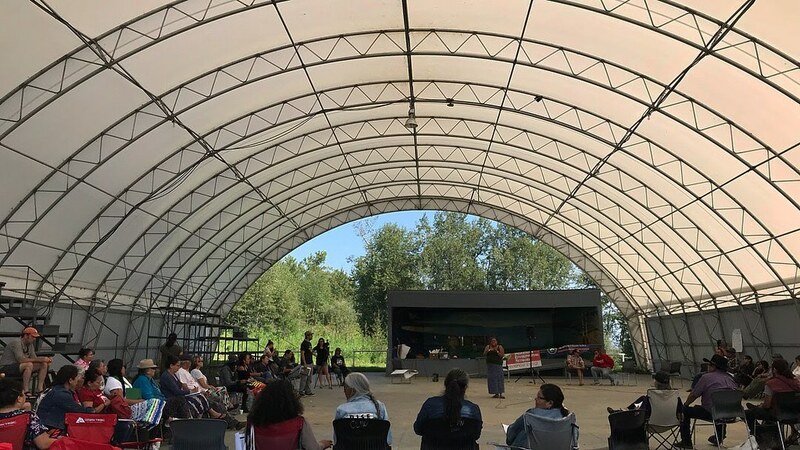 The camp came about when Indigenous community leaders identified a need to better connect with others doing tar sands resistance work across the massive region that is directly impacted by this extraction. 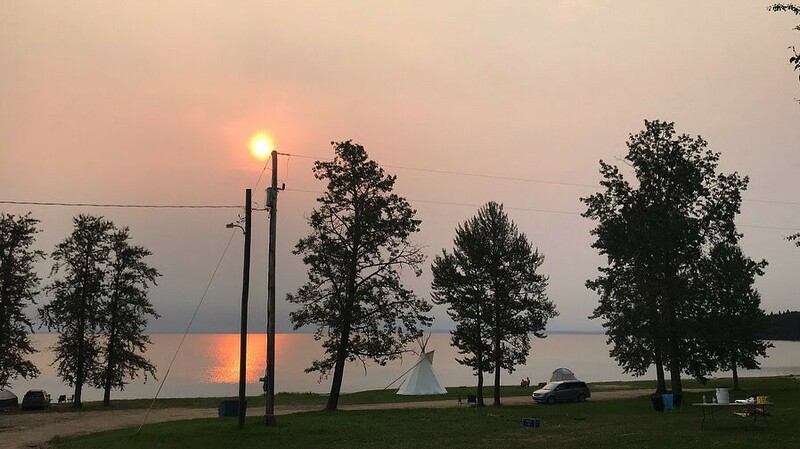 The sunrise over the Grassroots Grows Deep camp on Day 2 came with smoke from the wildfires burning across the Rockies, a harsh reminder that climate change and colonialism continue to unfold as we work. There were sessions and workshops on climate change, the tar sands, organizing, media, living on the land, renewable and sustainable energy, economies and food, non-violent direct action, pipelines, refineries, strategic planning, and more. A common thread through many of these discussions was strategy for the review of the Teck Frontier Mine, the largest-ever proposed tar sands project. The mega-project would violate the rights of Mikisew Cree First Nation, Athabasca Chipewyan First Nation, Deninu Kue First Nation, Fond du Lac First Nation, Smith’s Landing First Nation amongst other Indigenous nations. Resistance from these communities in combination with the project’s relatively low profit margins has already delayed it since its initial proposal in 2011. Teck’s mine will go into public hearings in Fort McMurray this September, and if approved will face a vote from the federal cabinet ahead of the 2019 federal election – creating a strong opportunity to make it a key election issue for Trudeau’s Liberals. Indigenous Climate Action was launched a little over a year ago and already the organization has made a huge impact in connecting and supporting Indigenous communities fighting for decolonization and a just transition. Their plans over the next year include facilitating a dizzying array of powerful gatherings similar to Grassroots Grow Deep, taking on the Teck Frontier Mine and other fossil fuel expansion projects, and launching a multimedia journal sharing stories of Indigenous-led climate solutions. The gathering’s co-host, the Indigenous Environmental Network, was founded in 1990 and has been fighting colonialism and environmental destruction ever since.